If you lost your password, you may retrieve it with this tool. You will need to enter your email address and the login information will be automatically sent. © Copyright Spy Dialer, Inc. All rights reserved. Works with U.S. based phones only. DATA WARNING: All Information comes from public data sources which may be inaccurate, out-of-date or otherwise wrong. Use of this website is at your own risk. We make no guarantees, expressed or implied, as to the accuracy of this data or service. Errors, including false "no hits," may exist in results returned. Spy Dialer, Inc. is not a credit reporting agency as defined by the Fair Credit Reporting Act (FCRA) and our search results are not consumer reports as defined by the FCRA. Information appearing on this site may not be used for any FCRA regulated purpose including determining a consumer's eligibility for credit, insurance, employment or housing or for any other purpose covered by the FCRA. You agree to hold Spy Dialer, Inc. harmless against all claims arising from your use of the site and to indemnify us against all claims and legal costs arising out of your use of it. DATA WARNING: All Information comes from public data sources which may be inaccurate, out-of-date or otherwise wrong. Use of this website is at your own risk. We make no guarantees, expressed or implied, as to the accuracy of this data or service. Errors, including false "no hits," may exist in results returned. Spy Dialer, Inc. is not a credit reporting agency as defined by the Fair Credit Reporting Act (FCRA) and our search results are not consumer reports as defined by the FCRA. Information appearing on this site may not be used for any FCRA regulated purpose including determining a consumer's eligibility for credit, insurance, employment or housing or for any other purpose covered by the FCRA. You agree to hold Spy Dialer, Inc. harmless against all claims arising from your use of the site and to indemnify us against all claims and legal costs arising out of your use of it. DATA WARNING: All Information comes from public data sources which may be inaccurate, out-of-date or otherwise wrong. Use of this website is at your own risk. We make no guarantees, expressed or implied, as to the accuracy of this data or service. Errors, including false "no hits," may exist in results returned. 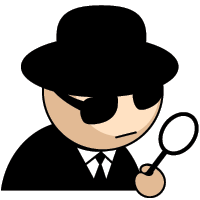 Spy Dialer, Inc. is not a credit reporting agency as defined by the Fair Credit Reporting Act (FCRA) and our search results are not consumer reports as defined by the FCRA. Information appearing on this site may not be used for any FCRA regulated purpose including determining a consumer's eligibility for credit, insurance, employment or housing or for any other purpose covered by the FCRA. You agree to hold Spy Dialer, Inc. harmless against all claims arising from your use of the site and to indemnify us against all claims and legal costs arising out of your use of it.